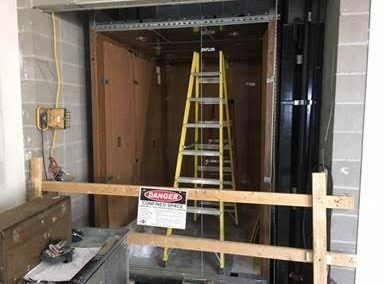 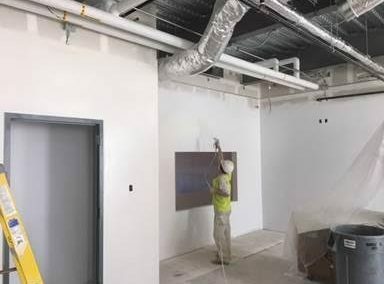 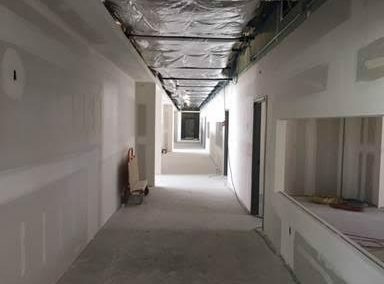 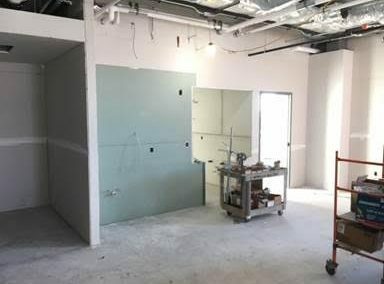 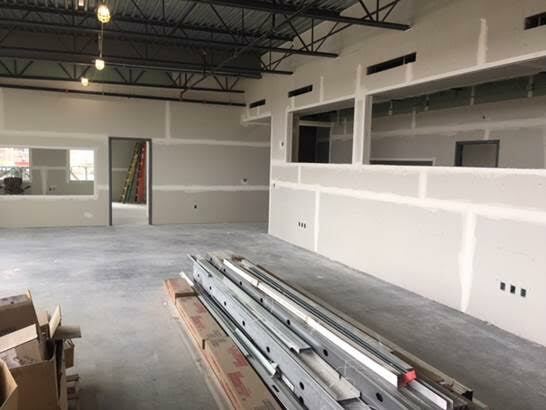 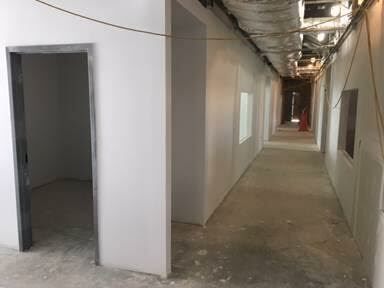 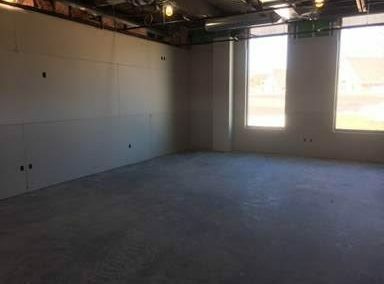 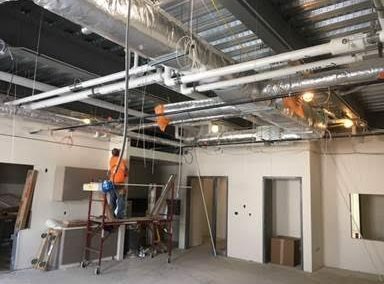 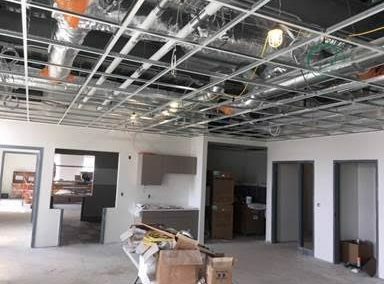 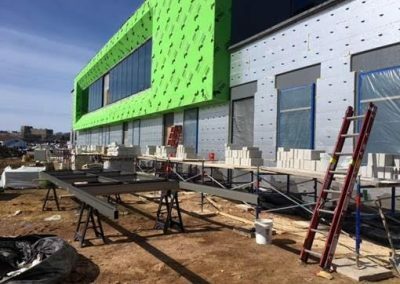 We continued to hang drywall on 1st floor and started to tape and finish the joints and also started to hang drywall on 2nd floor and install electrical equipment in the mechanical room. 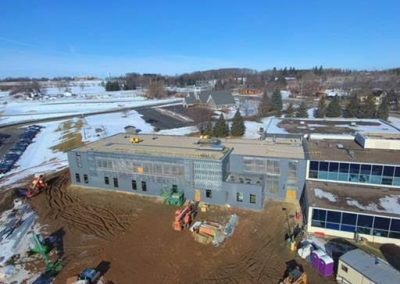 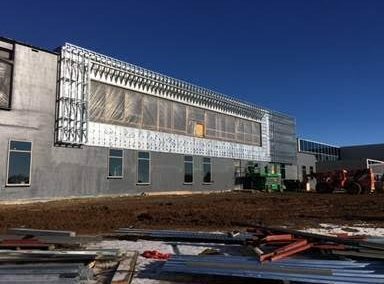 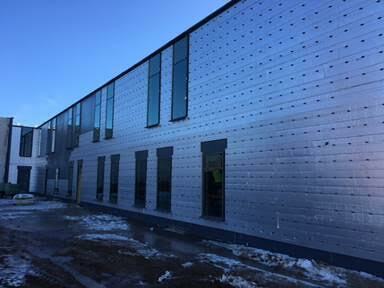 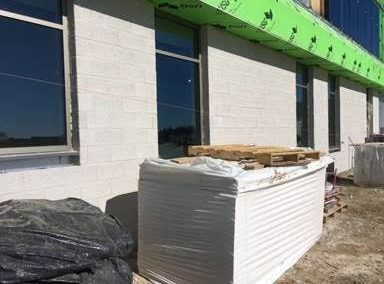 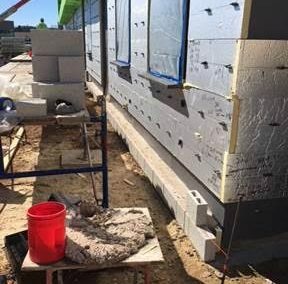 We started the cavity wall insulation on the North side, worked on framing the window bump out on the south side, all the windows for 1st floor and half the windows for 2nd floor are installed and we finished the air and vapor barrier. 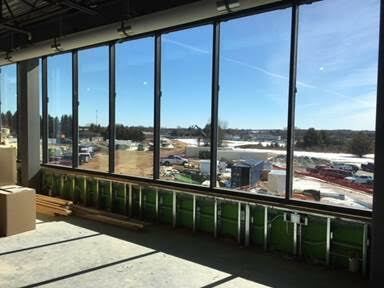 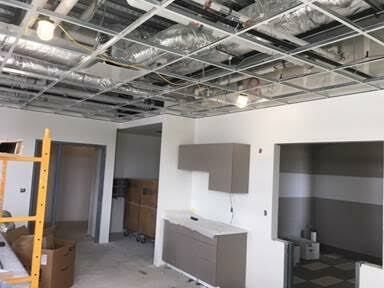 We continued ceiling grid and casework on 1st floor. All of the MEP rough ins are complete and we started to install finishes. 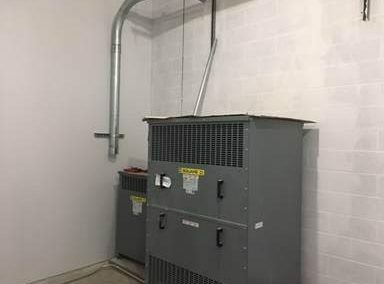 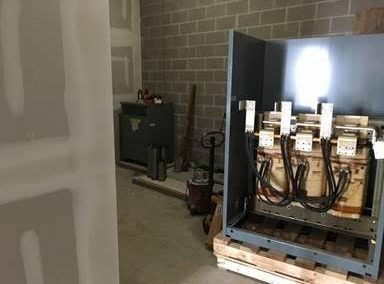 We also energized some of the new electrical panels. 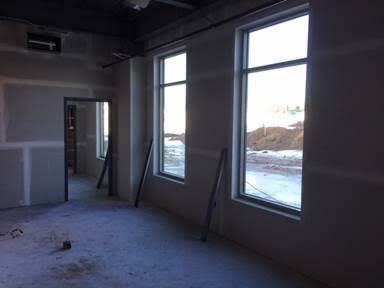 We are getting close to being complete with the drywall finishing on 2nd floor and we will start painting soon. 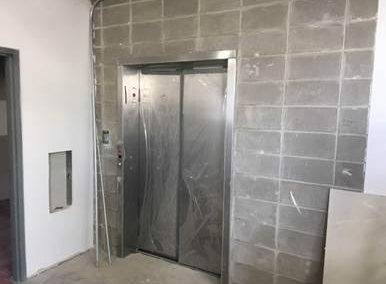 The elevator is complete. 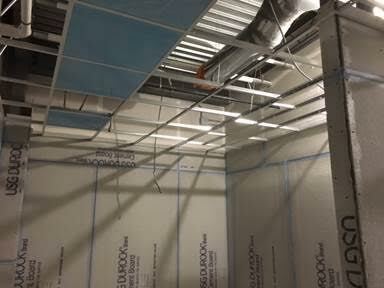 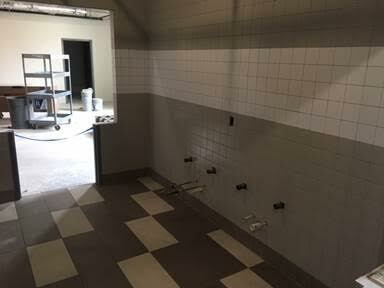 We also installed the ceiling grid in the bathrooms on 2nd floor and started prepping the walls for ceramic tile. 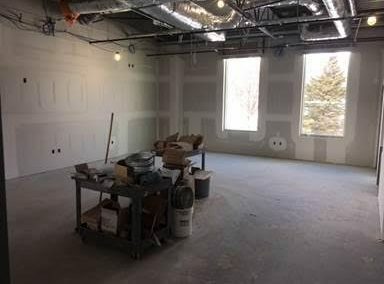 All of the drywall is up and we started painting the walls on 1st floor and drywall is going good on 2nd floor and most of the glass is in the windows. More equipment is getting installed in the mechanical rooms. 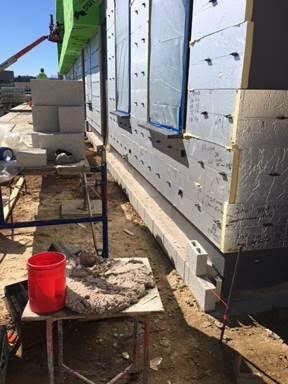 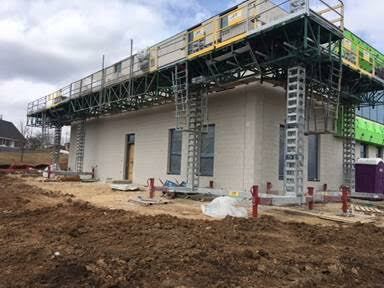 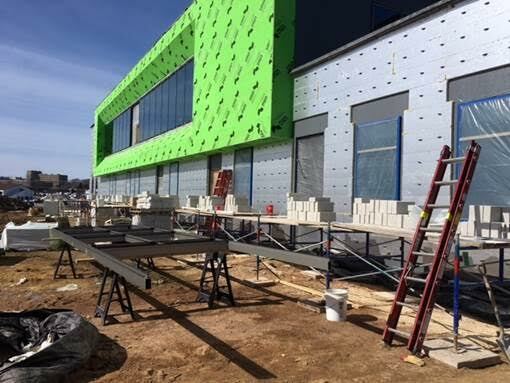 Since the weather has been getting better we were able to start the exterior masonry and install the masonry veneer. 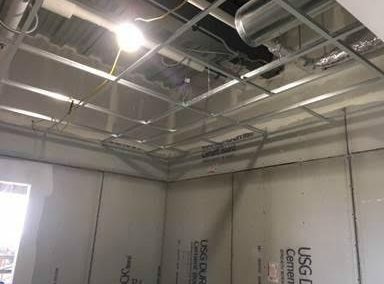 We installed the ceiling grid in the bathrooms so we can start the ceramic tile on Monday and we also started to install casework. 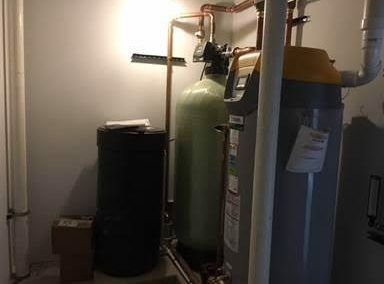 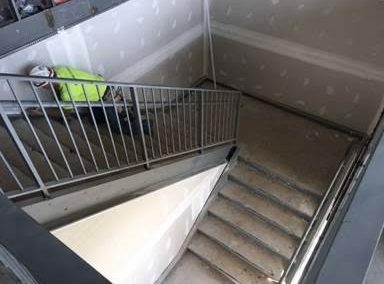 We also worked on installing the elevator. 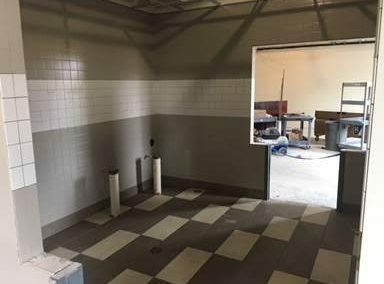 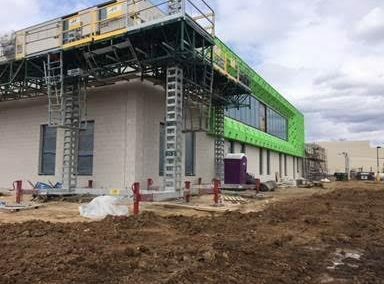 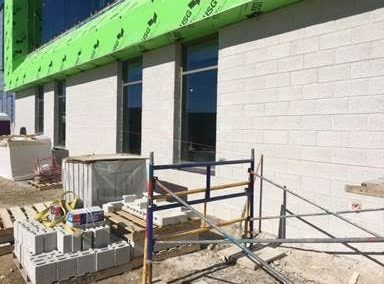 The masons were able finished the veneer on the South and West sides this month and we started the ceramic tile in the bathrooms this week. 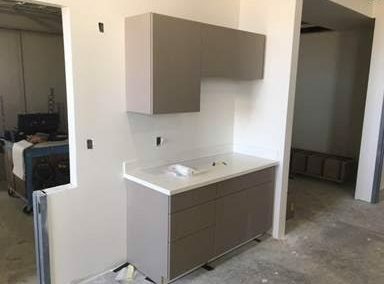 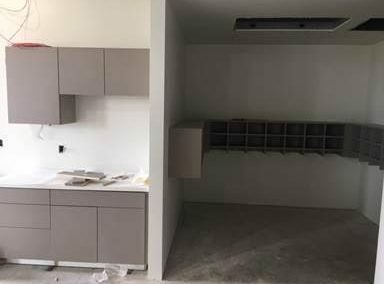 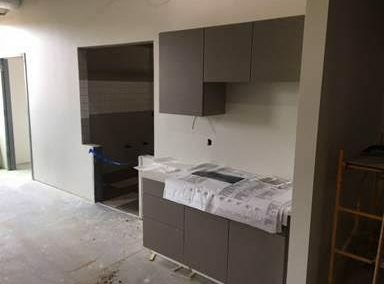 We continued to install casework and also finished hanging the drywall on 2nd floor and started to tape the joints.